Fischer is the first and only company to measure phosphorus content under gold and paladium non-destructively on PCB. The XDAL-SDD with the industry’s largest detector (50 mm) is the ideal instrument for adhering to IPC 4552 A & 4556. Fischer’s dedication to continually improving upon their technologies is evidence by their over 65 years in the XRF field. The instrument is designed as user-friendly bench-top instrument. 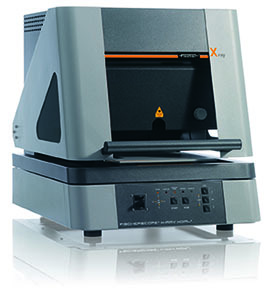 It is equipped with a high-precision, programmable XY-stage and an electrically driven Z-axis. A gap in the housing allows for measurements on large flat specimens, which do not fit in the measuring chamber, e.g. large printed circuit boards. The sample stage moves into the loading position automatically, when the protective hood is opened. Measuring ENIG & ENEPIG Coatings? on making ENIG & ENEPIG metrology easy.